Summary: This essay is about the lessons, which one can learn from Nature about survival, success, flexibility, openness, adaptability, strength, and discipline. 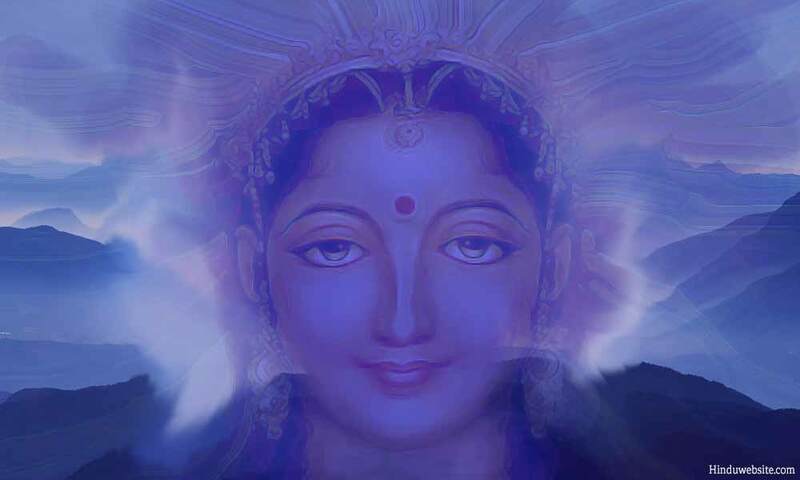 In Hinduism, Nature (Prakriti) is known as the Mother Goddess. Energy or Force (Shakti) is her essential nature. She is the source of all movements and modifications. Prakriti means that which is found in its natural state. Whatever is modified is no more Prakriti, but Vikriti, the deformed one. Nature has numerous aspects. She is also worshipped as the goddess of learning (Saraswathi), the goddess of material abundance (Lakshmi) and the goddess of spiritual energy (Parvathi). Certainly, Nature is a far superior mechanism, from which you can learn many lessons to improve yourself and deal with the problems and challenges which life throws at you. In worldly life, it will help you channel your energies, skills and talents to achieve worldly ends and in spiritual life to control your lower Nature and experience peace and stability. When it comes to God, no one knows much about him, except what one can learn from the scriptures. However, Nature is different. We live in it, and it lives in us. You can see it, feel it, touch it, know it and experience it. Since you embody Nature, you can experience it both from within and without. Therefore, it is much easier to observe Nature and learn from it. Science is primarily focused upon studying Nature and learn from it. Whether you study the earth, solar system, galaxies, wildlife, or climate change, they are but aspects of Nature only. By knowing them we can gain control over our environment and vastly improve our chances of survival and success in a rather hostile universe. The following are a few important lessons which anyone can learn from Nature. 1: If you want to succeed in life, learn from your failures. In life, we do not take kindly to failure, nor we appreciate failure. Fear of failure, or rejection, prevents people from even trying. In this regard, Nature is a perfect example of how you can integrate failure into your success by learning from it and improving upon it. Nature is not deterred by failure. It makes use of failure to improve and perfect itself and its systems, processes, and mechanism. It learns from both success and failure to manifest better life forms and living systems. Like Nature, you too can learn from your failures and mistakes to avoid them or improve upon them, rather than feeling depressed and shamed by them. You can reinforce those methods which work and contribute to your success, and modify or discard those that lead to failure and dysfunction. 2: If you are flexible, you will have more opportunities and possibilities of succeeding. Nature is flexible. It creates diverse life forms which can thrive in a wide range of climates, from the coldest places on the planet to the hottest places, on land, in air and water, miles above in the stratosphere, and miles deep in the oceans. It has set routines and programs, but uses them freely according to the situation. You can learn from Nature to be flexible so that you can vastly improve your chances of success. You may have fixed principles and values, but you can apply them in different situations. For example, you can respond to situations in different ways according to your needs and circumstances, without losing your soul. You can free your mind from fixed notions, irrational beliefs, rigidity, prejudice and selective thinking, and readily embrace change, diversity of opinion, new ideas and solutions. Flexible people are easy to work with. They are more dependable. Therefore, cultivate flexibility so that you will have more opportunities to learn from your experience and reach your goals. Nature is an open-ended system. It does not plan in advance, nor does it have any specific goals. Its only aim seems to be how to thrive in diverse situations and circumstances and manifest diversity. Most of the Natural functions are mechanical and predetermined. Yet, Nature uses them according to the need, and as the situations demand. Thus, even though it has programs, it is spontaneous and open to all opportunities and possibilities. It tries to fit in rather than control the environment or limit its choices. In contrast, we are selective, driven by desires and expectations, and subject to attraction and aversion. We close our minds to many possibilities and opportunities because we have likes and dislikes, fixed opinions, and want situations to happen in certain ways. Thereby, we do not know what opportunities we miss. If you want to be successful in life, you must unfreeze your mind and keep all your options open. You should weigh all suggestions and possibilities, receive inputs from various sources and consider your own experience and judgment, before you act, rather than go by your fixed notions, unverified beliefs, and assumptive thinking. 4. If you want to survive in a harsh world, you must readily adapt to different situations. Nature is highly adaptive. You can find it adapting itself to diverse environments, situations, and conditions, which makes it greatly resilient. For example, you will find forests in both temperate and non-temperate climates. You can grow a big tree in the backyard of your house, in a nursery, or in a small pot in your drawing room. In contrast, we resist change and do not easily adapt to changing circumstances. Many people refuse to change, as they become stuck in their daily routines and comfort zones, refusing to deal with the unknown and unfamiliar. It greatly limits their chances of success. If you want to break free from your conditioning, self-limiting beliefs and habitual thought patterns, you must be willing to go where life takes you, and readily adjust and adapt to different situations and circumstances. Studies show that those who are mobile, flexible and adaptable are more resourceful and successful than those who prefer staying in their comfort zones and living their routine lives. 5: If you want to persevere and win, your spirit should be unbreakable, but your mind flexible. Nature is shockproof. Nothing can break its spirit. It survives even the worst of cataclysmic events. It is mutable, but indestructible. In tough environments, Nature becomes even tougher and remains invulnerable, yet flexible. Some aspects of Nature are vulnerable to change, impermanence and destruction. In unfavorable conditions, they change, evolve or become extinct. However, as an entity, Nature survives and continues. For example, millions of years ago a meteorite nearly destroyed the planet and wiped out most life forms. Yet, Nature thrived in the aftermath of the disaster and produced newer life forms. The culmination of that process was the appearance of humans on the planet. Like Nature, you can keep your mind flexible and open, but your spirit strong. Nothing should be able to break your morale or weaken your resolve, while you may keep your mind open, flexible, and even vulnerable. 6: Discipline and lawful conduct are vital to avoid chaos and uncertainty. Nature is a very powerful mechanism. Although it has unlimited potential and is invincible, it is still bound to certain discipline, norms, patterns, programs, universal laws and predictable behavior. For example, the laws of physics, chemistry, gravitation, space and time are universal and inviolable. Nature remains bound to them and operates within those set laws. It ensures predictability, order and regularity, and keeps chaos and destructive forces under control. You can follow the same principle to protect yourself from trouble and disorderliness. By cultivating discipline, practicing rules and restraints, honoring time-tested traditions, values and code of conduct, you can protect your soul and keep your negative and self-destructive behavior under control. However complex your life may be, you cannot ignore the importance of peace and poise, which arise from inner harmony and stability. Nature is a perfect example of how equilibrium can be maintained even in a complex ecosystem. The diverse components of Nature work in tandem to create harmony and synergy. In Nature, everything has its own place, value and importance. It is a holistic system, in which diverse parts, aspects, dualities and opposites work together to sustain life and establish balance. We have the same system working in our minds and bodies. However, because of desires, attachments, likes and dislikes, passions and emotions, many people lose their balance and suffer from conflicting thoughts and restlessness. You can regain your balance and establish harmony by practicing moderation, avoiding the extremes, and making peace with yourself. If you are balanced, it will be difficult for chance or random events to destabilize you or create chaos in your life. You are an aspect of Nature and a personification of Nature. Nature lives in you as your very mind and body. By understanding its methods and mechanism, you can greatly improve your chances of success and survival. From childhood, you may have been conditioned by your religious values, scriptural or institutional authority to despise Nature and control it. You should undoubtedly keep under control the destructive aspects of Nature that are active in you, but you should let its positive aspects express themselves and make you a worthy individual to vastly improve your chances of achieving success and experiencing fulfillment.